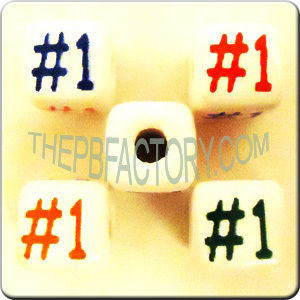 Our best sellers... 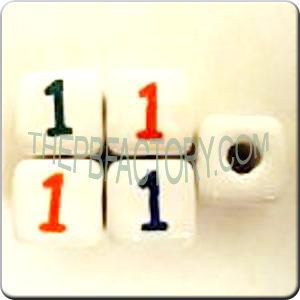 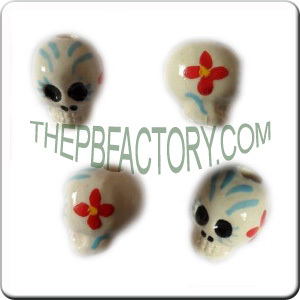 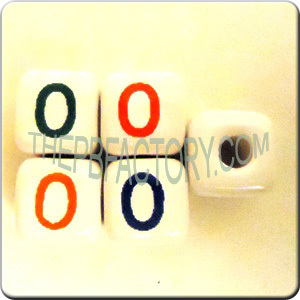 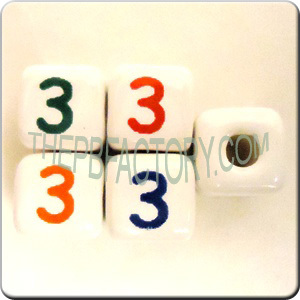 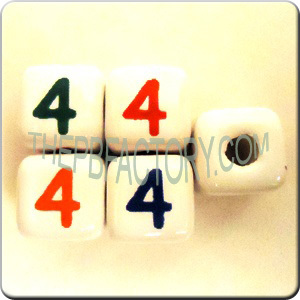 Medium (9mm) square shaped four color number and symbols beads. 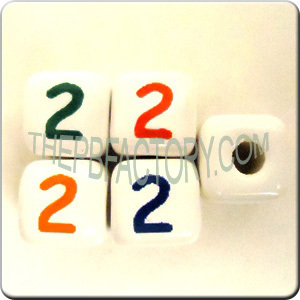 Each side of the square has the number or symbol printed in a different color. 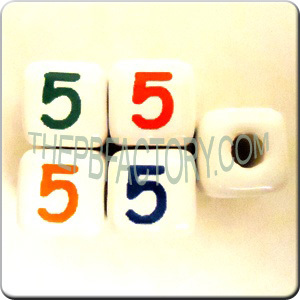 These are: Red, Blue, Orange and Green.Sold per a package of 25 units. 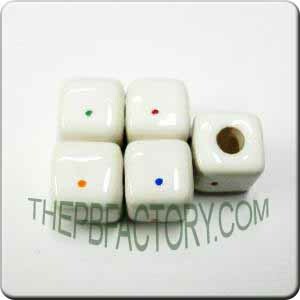 Beads have a hole of 3 mm aproximately.